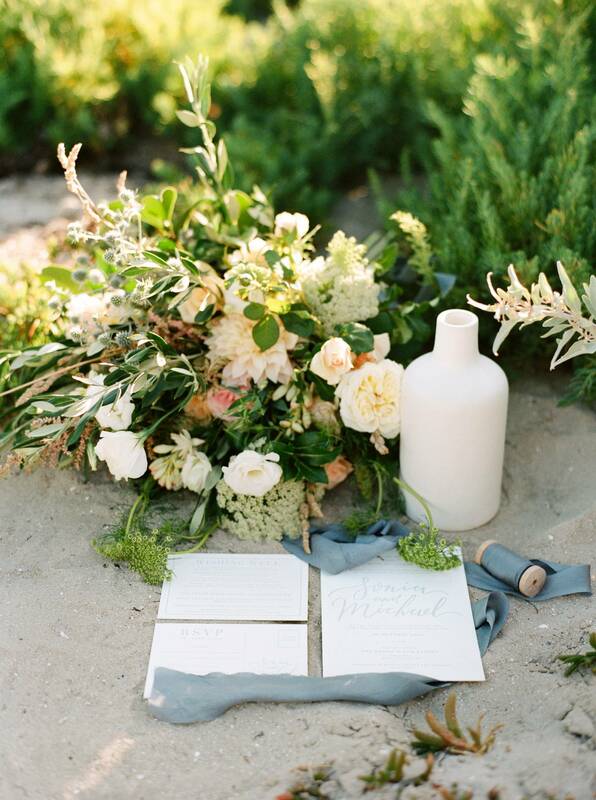 We love it when we get to share beautiful wedding inspiration from Australia - the light, the beaches, the stunning native foliage! We're smitten! 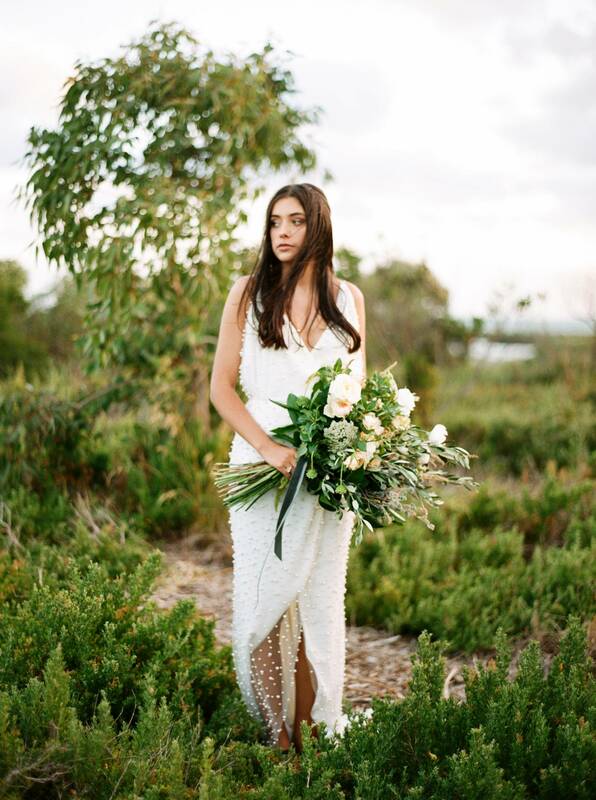 Melbourne Wedding Photographer ADRIAN TUAZON worked with stylist RUFFLES & BELLS, bringing together elements of the earth and sea together in a dreamy colour palette of blues, blush tones and white. 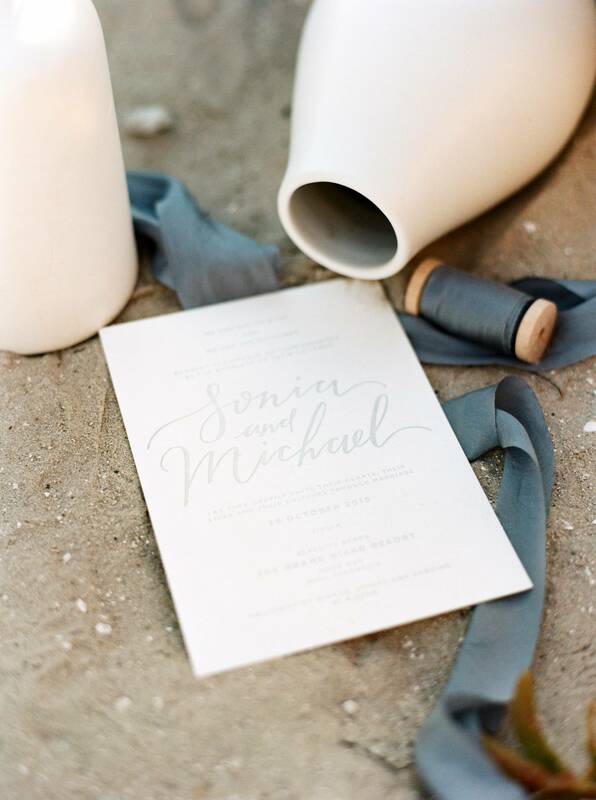 A simple wedding invitation suite by STUDIO SILVA featured work from CALLIGRAPHY BY MOYA and textured florals by TILLDA FLOWERS complemented the beach landscape. 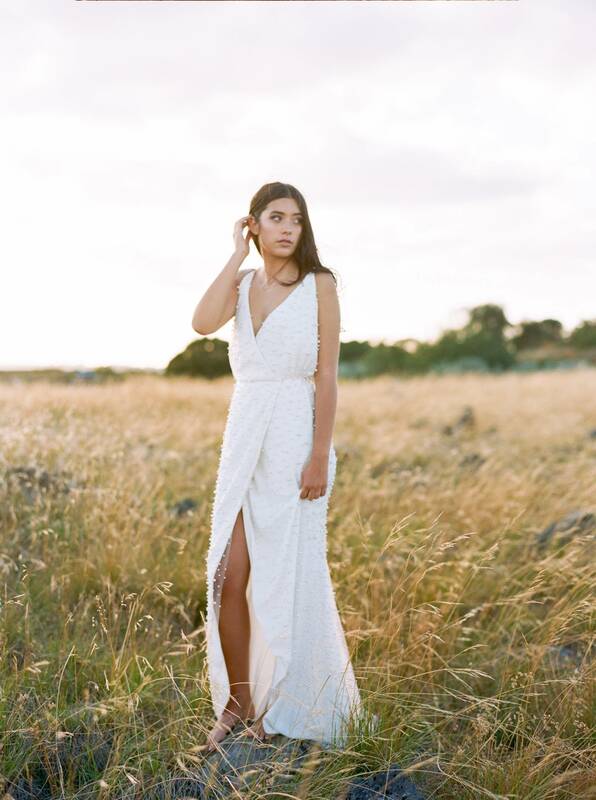 A wrap style wedding gown from CHOSEN BY ONE DAY added a modern touch with it's clean and simple silhouette. 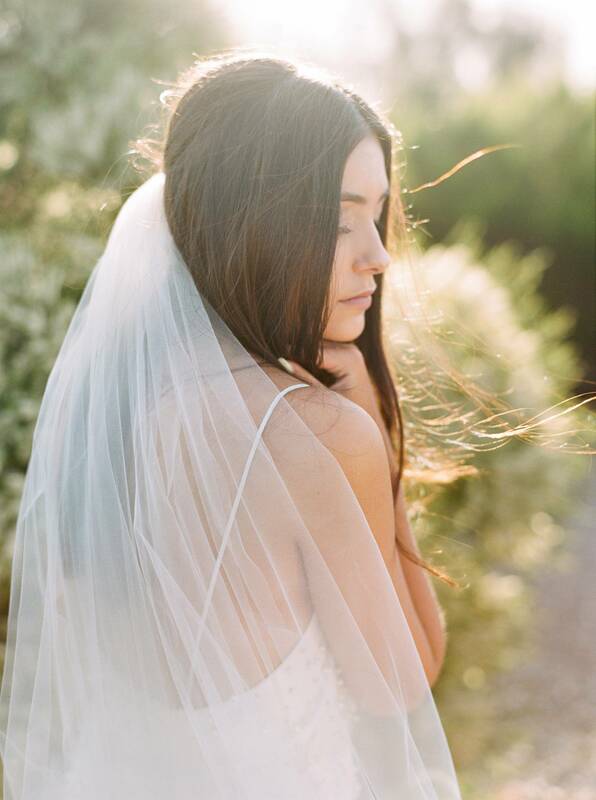 Thanks to ADRIAN TUAZON for sharing this gorgeousness with us. You can see more of this work in our VENDOR GUIDE.